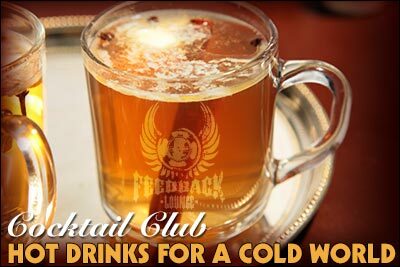 Tonight is twofold in awesomeness: DJ Kingblind Morgan fella is doing his thing along with the Feedback Cocktail Club/DJ Kingblind Ugly Christmas Sweater Party. 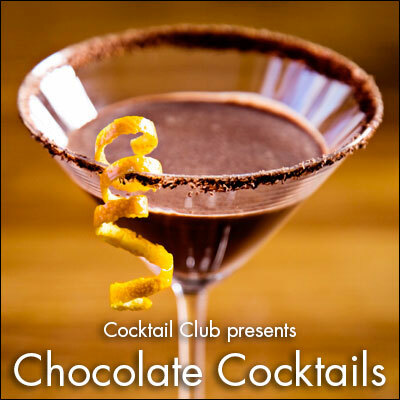 Also, Jordan and Amanda claim they can make a ton of different cocktails with chocolate besides foamy cream drinks you dessert lovers will drop your morals for. They’ve got Cacao nibs infusing, Mole Bitters to splash, Hershey Bars to light on fire (Jordan, probably). Come by and bring your ugly. We’re not screwing around with that hoo ha (except for Morgan, who’s doing a “best of” DJ set, which isn’t hoo ha ’cuz he’s good at it), we’re doing booze. 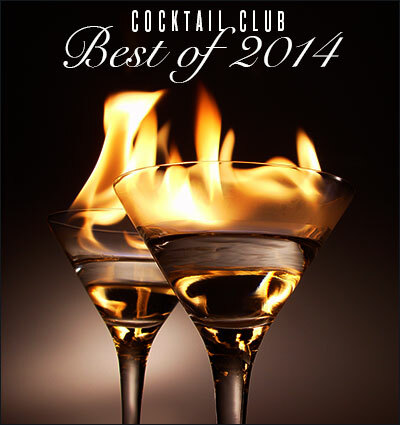 Amanda and Jordan are making you the best of the year all night long. I shall be coming in a bit later in the evening to hand out swift and merciless judgement (and by “merciless” I mean “super friendly”). See you tonight about 6. 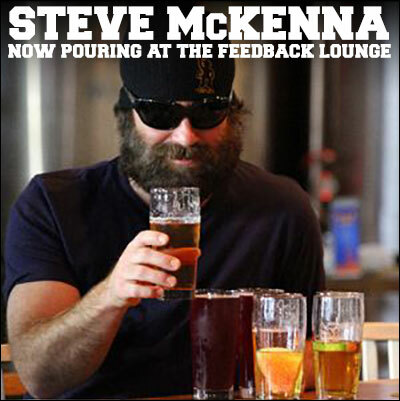 Steve McKenna joins the the Feedback Lounge bartending staff and is best known as the co-host of Drinking Made Easy on HDNet. McKenna and host Zane Lamphrey traveled to US cities as they shot 24 episodes exploring the local drinking cultures, customs and cocktails of each city. Currently, you can catch Steve on Chug TV on the National Geographic channel. McKenna first made his mark on television as the oft-mentioned “friend” of Lamprey on Three Sheets. Popping up in each of the 52 episodes, Lamprey referred to Steve McKenna as his friend who did funny things when he drank. McKenna became a mainstay on the show, developed a cult following of fans and his name became synonymous with drinking. Over the course of its four seasons, he became an integral part of the drinking game associated with the show: Rule #2: When Zane mentions his buddy Steve McKenna, it’s a social (everyone drinks). McKenna also appeared in several episodes, including Kentucky, New York City, London and Amsterdam. Come by and meet Steve and get McKenna’d. Sweet Billy has stepped out from behind the drums after 25+ years of professional performing with many of the Northwest’s top Blues and R&B artists, playing the 88s, along with organ and singing. Billy is joined by Kurt ” Snookie” Cochran on guitar and vocals, who has played withLate Night Trash for more than a decade. Playing bass is Patrick Mosley and Scott Rongey on the tubs. FYI: Scott has had a long career in the Northwest playing with many top acts and has been to Memphis to compete in the International Blues Challenge as well as being a sought after session player. The Morganica Quartet features Dylan Hughes and MarinaChristopher on bass, Zach Zarrow on keyboard, Ian Hughes on guitar and Morgan Gilkeson on drums. Bandleader/drummer Morgan Gilkeson and her band Morganica host a Monday night jam at The Nectar Lounge that has taken on a life of it’s own, and have played with an all-star list of Northwest jazz & blues talent, including Evan Flory-Barnes, Jessie Sawyers, Steve Treseler, Thomas Marriott, Chris “C.D.” Littlefield, Eugenie Jones, Kareem Kandi, DeeJay Roc’Phella, Naomi Watson and more. Morgan also drums with the Seattle Women’s Jazz Orchestra. Paul Green is so good at harmonica that they named the Best of the Blues Harmonica Award after him in Washington State. He also sings some of the most choice material, and his phrasing and interpretations are impeccable, raising the bar for all who dare follow his lead. He has gather the best in the business with Danny Hoefer on guitar (Tower of Power and more), and is the Northwest rep for Gibson Guitars, and Howard Hooper is one of the most sought after bass players in the Northwest blues scene. and Marty Vadalabene has some major drum chops to share as well. Arkansas guitarist Seth Freeman, was instrumental in helping us put flames in this Tuesday series and he will help us celebrate the holidays, Southern Style, along with some other special surprises. 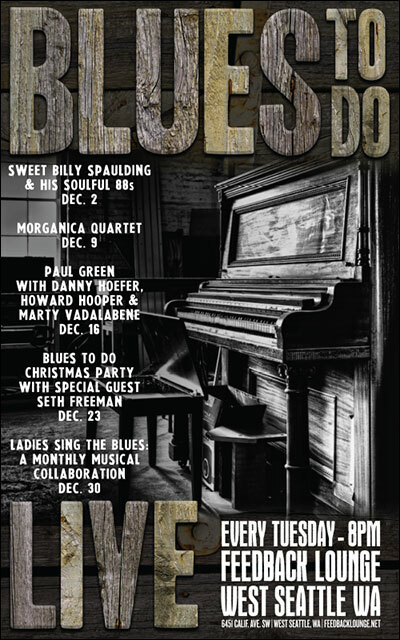 We are continuing this wildly successful idea every month featuring the best women artists in the northwest in an all women blues jam, including various outstanding vocalists in a woman’s musical collective on the last Tuesday of each month. You are currently browsing the Feedblog blog archives for December, 2014.